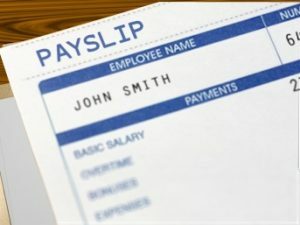 Home › Articles › Should I receive a payslip? Should I receive a payslip? On the day an employee receives payment, the employer must provide the employee with the following information in writing, in terms of section 33 of the Basic Conditions of Employment Act. The employer’s name and address. The employee’s name and his/her job title. The period when the payments are made. The employee’s reward in monetary value. Any deductions that were deduced from the employee’s salary. The net income of the employee. The information must be provided to the employee at the workplace or at an agreed place. It should also be provided within working hours. If there is a case where the employer does not provide the payslip, you should look in to lodging a complaint at the Department of Labour.